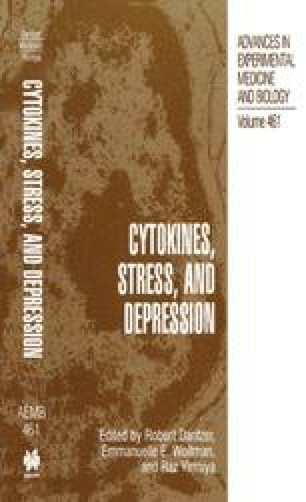 The concept of an inter-relationship between the psychological state of a depressed patient and the immune status can be traced back to Galen who, in 200 AD, suggested that melancholic women are more susceptible to breast cancer than sanguine women (Leonard, 1987). Over the past 15 years it has become apparent that the central nervous system (CNS) and the immune system are intimately connected and that a functional bidirectional communication exists between these systems (Ballieux, 1992). Indeed, it may be possible to conceive of the nervous, endocrine, and immune systems as being part of a single integrated network rather than three separate systems. The study of the interactions between these systems has given rise to the new discipline of psychoimmunology, a term first coined by Ader, Feiten, and Cohen in 1987.